• Acquires and protects land with natural, agricultural, scenic, recreational and/or historical significance through fair market transactions. • Shares our knowledge of land conservation strategies with local landowners, planners, public agencies and other conservation organizations. • Facilitates private conservation of agricultural lands. • Educates the community through field trips with experts in ecology, agriculture and the arts. 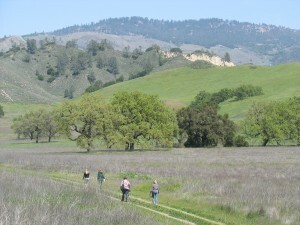 The Land Trust is a sponsoring member of the national Land Trust Alliance (LTA), and has adopted policies, based on the model LTA Standards & Practices, governing land project selection, due diligence, monitoring and stewardship, ethical fundraising, financial and asset management, and conflict of interest. The Land Trust is a non-profit 501(c)(3) organization that is supported by over 900 members and governed by a volunteer board of trustees. Our conservation projects receive financial support from landowners, individuals, foundations and government grant and tax incentive programs. Our non-profit tax identification number is 95-3797404. View our 2018 audited financial statements or our 2017 Form 990.